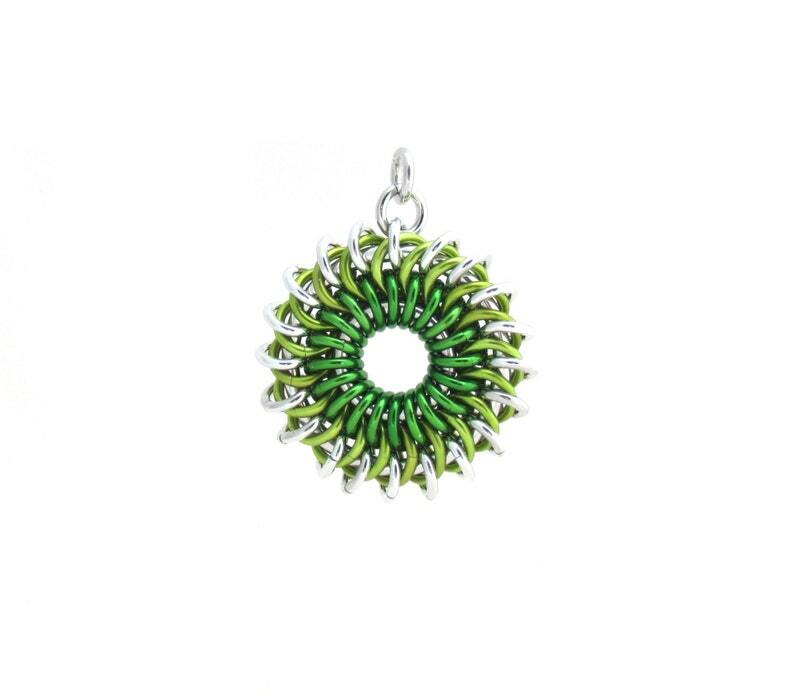 This is a gorgeous green sunburst pendant that is an exceptional piece of aluminum jump ring jewelry, bright and bold! This chain maille pendant is made with anodized aluminum jump rings in two shades of green - bright green and lime green, as well as unanodized aluminum jump rings. It measures approximately 1 1/8 inch across, by 1 7/16 inch from top to bottom (including the rings used as a bail). 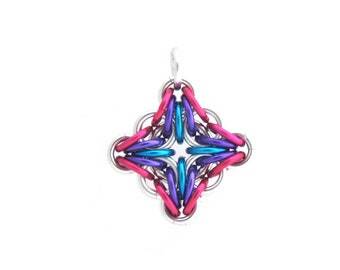 It is a very lightweight pendant. The coloring on the jump rings is pretty strong, but it can be scratched if it comes into contact with a harder surface. Please keep this in mind when wearing and storing.